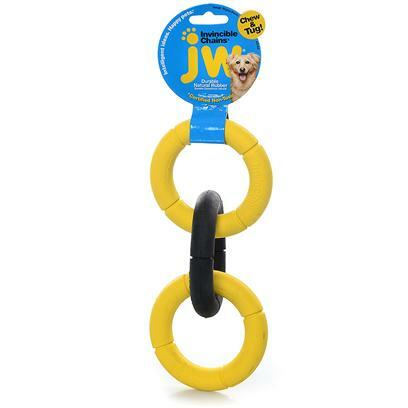 This clever chain toy has a multi-functional design that's perfect for games of tug-o-war, fetch, or good old fashioned chewing sessions. Made with extra-strong rubber and without seams or glue, it's built to withstand rough play and heavy chewing. Reviewers say these chains are truly invincible. This toy will clean your dog's teeth and gums as they chew, and it's a great choice for teething puppies!